Who knew you could extend bobby pin (hair grip) storage to two posts?! 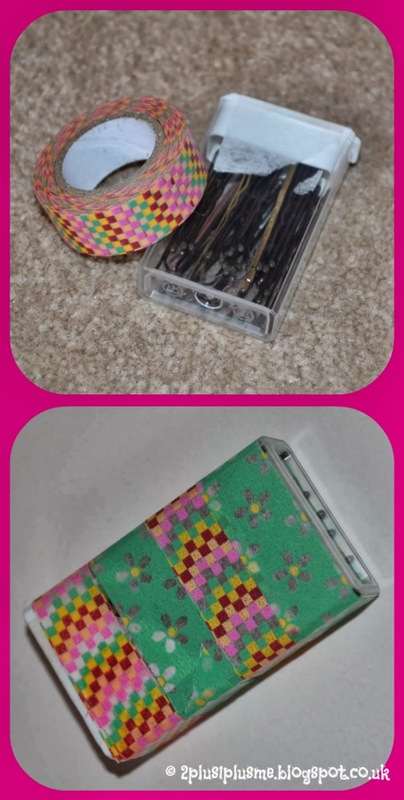 Following on from my first post Bobby Pin Storage you didn't think I could leave my tic tac container looking like THAT did you? Time for a bit of Washi Tape! Obviously you could do it much neater than I have but I only chucked this on for the purposes of a photo. I chose two rolls of contrasting Washi and alternated them. I'm not sure I'm quite at the stage of setting up an etsy shop but I find it quite useful!